The referendum on Britain's membership of the European Union presented the opinion polls with a formidable challenge. Support for Remain and Leave crossed party lines. Rather than a debate between left and right, opinions reflected a division between social liberals and social conservatives. Even if the polls had overcome the difficulties that had beset them in 2015 – and that appeared to be still a work in progress – there was no guarantee that methods that had been honed to estimate party support in a general election would work effectively in this seemingly very different environment. 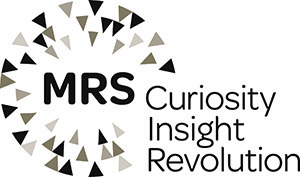 NCRM hosted a seminar at the Royal Statistical Society, London on 8th December 2016 featuring speakers from the polling companies and members of the BPC/MRS inquiry into the performance of the polls in the 2015 election. The seminar featured presentations of how the polling companies set about their task and independent evaluations of the methodology that they used, with the aim of identifying the key lessons to be learned from the referendum for the future of opinion polling.